Small businesses are the backbone of the United States. While the huge companies that trade on the Dow Jones may get more attention, the truth is that small businesses have added more jobs to the economy than large ones.. Many of our clients at Cook Martin Poulson are small business owners. One of the questions we hear most frequently from them has to do with accounting software. They want to know if QuickBooks can help them run their small businesses efficiently and effectively. 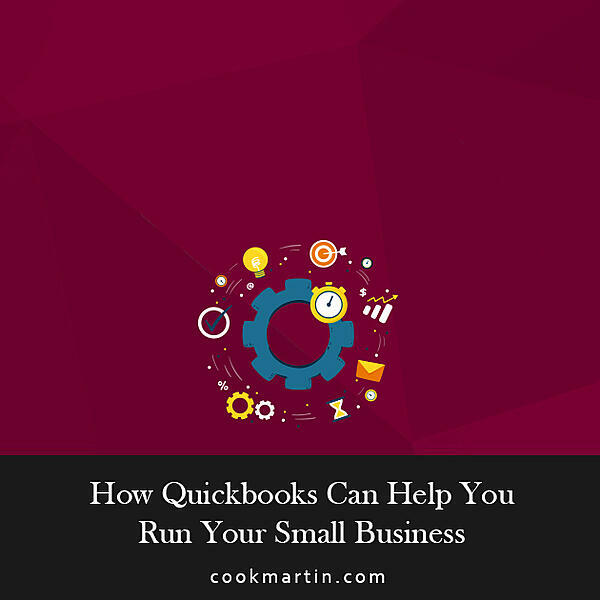 The short answer to that question is yes – but let’s talk about why QuickBooks is a tool that small business owners can benefit from using. One of the biggest stumbling blocks for small business owners is cash flow. You can buy on credit up to a point, but if you don’t have money flowing into your business regularly, eventually you will run into problems. QuickBooks can help you keep track of your money and manage your accounts receivable. Instead of checking your bank balance, use QuickBooks to track the money that’s coming in and going out. By entering all transactions promptly, you can be sure that you always know the financial status of your business. Likewise, sending invoices out as soon as a shipment has been sent or a benchmark reached makes it less likely that you’ll wind up with uncollectable debt down the line. There’s no point in making sales if you’re not going to collect from your clients in a timely manner. You can even use QuickBooks to email invoices and statements directly to your customers. We like this feature because it eliminates the need for an employee to spend valuable time sending out repetitive emails. As long as your customers’ email addresses are in QuickBooks, it can take care of this task for you. Invoicing clients is important, but it’s equally as important to the financial health of your business to pay incoming bills on time to maintain a good business credit rating. Suppliers and vendors won’t sell to you on credit if you pay your bills late and they need to follow up repeatedly to get their money. You can use QuickBooks to pay your bills. You can also use it to track debt payments. For example, whether you own or rent your office space, QuickBooks can help you track rent or mortgage payments. You can also use it to track the overall worth of your business. In addition to tracking outgoing payments, you can also use QuickBooks to cut checks. This is a time-saving feature because it eliminates the data entry you’d need to do if you printed your checks outside of QuickBooks. If you want your business to be a success, you must be able to run reports to give you a clear picture of where your finances are at any given time. QuickBooks allows small business owners to keep track of key metrics with pre-set reports that they can run at any time. In addition to the pre-set reports, QuickBooks will also allow you to generate custom reports to your specifications. They have a tutorial on how to do this on their website. You can view it here. There’s also a “Memorized Reports” feature where you can customize reports and ask QuickBooks to remember them for future use. You can use this feature for your own reporting. Or, if you generate reports on behalf of your clients, you can save their preferences as well. Managing employee time is essential for accurate accounting. QuickBooks has tools that you can use to track employee time, whether you are simply keeping track of the time that an hourly employee works, or tracking time spent on a specific project. The time management features in QuickBooks are particularly useful if you must bill clients by the hours you have worked on a project. It’s easy to track all employee time from the employees’ section of the home screen. Employee hours and payroll are directly related. We normally recommend that our clients outsource their payroll since doing so limits liability and minimizes the chances that you’ll make mistakes with taxes and withholding. However, you still can (and should) use QuickBooks to track your outsourced payroll. It wasn’t that many years ago that online banking was the exception and not the rule. However, today most businesses use online banking. Depending on your banking partner’s capabilities, you may even make deposits online without needing to visit your bank in person. It’s easy to connect QuickBooks to your business bank accounts, so that all of your transactions are automatically logged and tracked. Some financial institutions allow small businesses to download data from their accounts directly into QuickBooks. On a related note, you can also use QuickBooks to set up automatic monthly payments for expenses that don’t change. That falls into the “memorized transactions” function of QuickBooks, which you can also use to handle repetitive journal entries. Are you in the habit of sending out invoices and waiting for checks to arrive in the mail? A lot of small business owners experience anxiety about cash flow that could be mitigated by accepting online payments from your clients. That’s something QuickBooks can do for you. The Intuit Payment Network offers an extremely affordable alternative to accepting credit cards. While card issuers may charge 2-3% or more for each transaction, the Intuit network charges only $0.50 per transaction for online payments. That means that even if you collect a $40,000 invoice (or higher) you’ll still only pay $0.50 for QuickBooks to process the payment. Compare that to the $800 you might pay to a credit card company. Using QuickBooks for payment processing is an easy decision. Class tracking makes it easy to take your overall income and drill down to understand where and how you’re earning it. It’s a very useful tool for business owners. It has become increasingly common for businesses to allow employees to BYOA (that’s Bring Your Own Apps.) In some cases, you may be able to sync the apps your employees use to QuickBooks to allow for the easy transfer of information. For example, there are apps that allow employees to track their time. As long as you choose an Intuit-approved app, you can pull information from the app directly into QuickBooks to help you keep track of employee hours. If you do allow BYOA, make sure you have a clear policy about which apps your employees can use. Used properly, QuickBooks can help you run your business by ensuring that you always have a handle on your finances. 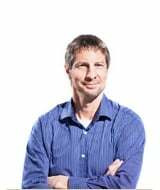 Contact us to learn more about Cook Martin Poulson’s bookkeeping and payroll services for small businesses.